If you blew through Destiny 2’s story and jumped immediately into the raid, you might feel like you skipped a chapter explaining what’s going on. Turns out there’s some backstory and an optional sidequest that bridge the gap. On Wednesday, a ship the size of a planet appeared over Nessus. 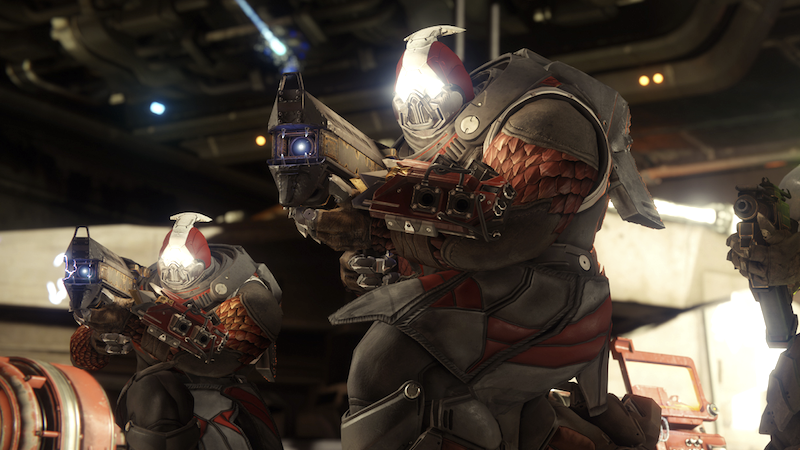 It marked the arrival of Destiny 2’s “Leviathan” raid, a six-person cooperative challenge that’s tougher than anything else in the game (even the Rat King quest). To understand why that ship is there and what your Guardian is doing aboard it, you should read up on some Cabal lore and, most importantly, play through the sidequest “Invitation From The Emperor” on Nessus. Spoilers follow for the ending of Destiny 2 and the context for the Leviathan raid! As it turns out, the Leviathan is the home of exiled Cabal emperor Dominus Calus. Calus was driven from his throne by Dominus Ghaul, the chief bad guy of Destiny 2’s story. After you bring down Ghaul at the end of Destiny 2, Calus turns up near Nessus with a plan of his own. Some of that backstory comes from the Destiny 2 collector’s edition, which has a whole lore booklet that dives deep into the history of the Cabal empire. It includes a letter from Calus in which he laments his exile aboard the Grand Leviathan and entreats the reader, presumably your Guardian, to “execute my justice upon the traitors” and save the Cabal from “grey enslavement.” In the letter, he offers you power, weapons, purpose, and glory, all of which seem to await in the raid. Seems like this guy would actually be pretty stoked that your character offed Ghaul. The in-game setup for the raid takes place during the side adventure “Invitation From The Emperor,” which is pretty short and worth playing through in advance of the raid. You can find it on Nessus; it’s one of the orange Adventure icons. I don’t want to spoil anything from the raid, but having that context definitely makes it make a lot more sense. I did a bunch of raiding last night but have only made it to around the fourth checkpoint. It’s pretty cool so far. We’ll have more impressions once we’ve played more.